I gotta say, Something Rotten has Best Musical written all over it. Admittedly, I have yet to see most of the new musicals this season as they’re all coming out right about…now (pre-Tony time is busy, friends!). So it’s true, I might change my tune after seeing Fun Home or Finding Neverland or It Shoulda Been You. Lots of new musical potential this year (update since I wrote those last two sentences: It Shoulda and Neverland did not do too well with the critics). But Something Rotten knows what it’s doing, and it’s got Casey Nicholaw at the helm (you can view highlights here). Now Casey and I don’t always see eye to eye. I couldn’t quite get on board with his productions of Aladdin and Elf, but then there’s the hilarious The Drowsy Chaperone and underdog The Book of Mormon. And now he’s back delivering a brand new (that’s right! NEW! ), yet deliciously old-school musical full of big shtick, big comedy, and big musical numbers. And Shakespeare references! Wait, hold up – this show is about Shakespeare? Don’t run off just yet! It’s not all uppity with super insider-y jokes (although there are plenty for the big Shakespeare fans out there). Here’s the basic premise. 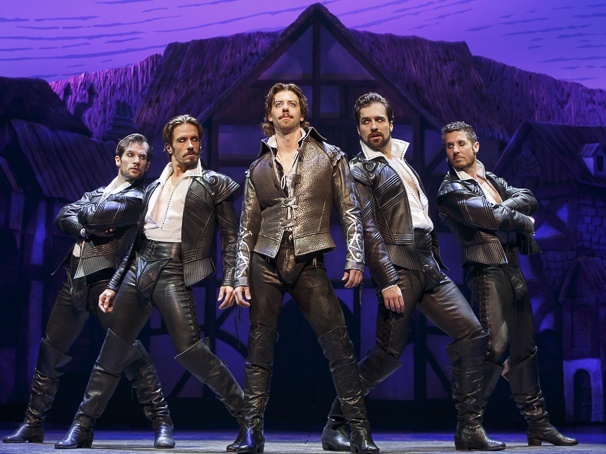 All the Bottom brothers, Nick (Brian D’Arcy James) and Nigel (John Cariani), want is to write a hit of their own, but they can’t get a word in edgewise because William Shakespeare (Christian Borle) is all anyone can talk about, and his new play Romeo and Juliet just premiered at the Globe. Nick will do anything to top his rival, so he goes out in search of a soothsayer (Brad Oscar) to find out what the “next big thing” might be. And what does he learn about? Why, musical theatre of course! 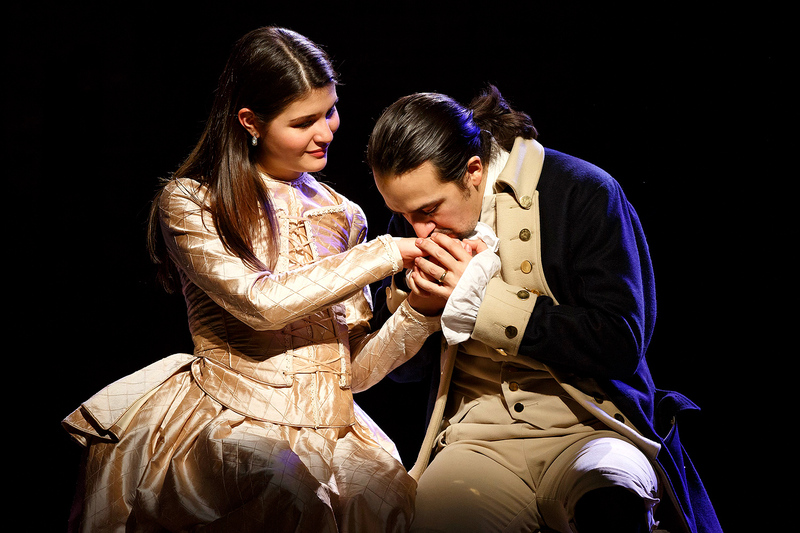 So he dives headfirst into creating the world’s very first musical. Cut to countless hit musical references. I mean, so many you won’t catch all of them in one viewing. Now sure, there are some easy jokes that drove me a little crazy (a woman guarantees there will be gender equality in no more than five years – get it?! ), but on the whole, it’s a silly ball of fun. I don’t know the last time I laughed that hard at a musical. The score is packed with catchy tunes that you will actually leave the theatre humming. And to top it off, you have the impeccably talented cast. Led by D’Arcy James and Borle, right off the bat, you know you’re in good hands. D’Arcy James is steadfast in everything he touches. He plays a solid straight man amidst all of the craziness but still gets his chance to cut loose. As the Bard, it’s so much fun to once again see the cockiness of Black Stache mixed with the bravado of Tony winner Borle himself. Brad Oscar is insane and hilarious, and Cariani and Kate Reinders are adorably charming and funny as the young will-they-won’t-they-couple. Oh, and Heidi Blickenstaff – I could listen to her sing all day. I wish there were more to her character, but sadly it’s not her show. This is very much about the Bottom brothers and Shakespeare, and the women unfortunately are left in the sidelines. I guess that’s what happens when a show takes place in 2015 – sorry, I mean 1595. So. A musical chockfull of Shakespeare AND musical references? It sounds like this was made for me. 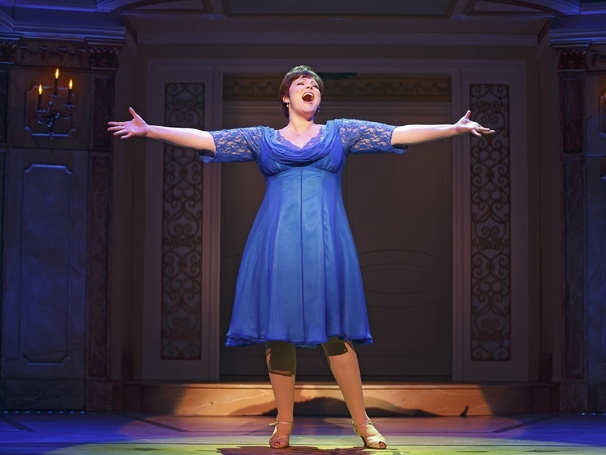 How can you go wrong with a musical that’s an ode to musicals? I’m eager to see what the critics will be saying after the opening tonight, but honestly? I’m not the least bit worried about this show. Nothing’s gone rotten here. I’ve never been one to seek out a jukebox musical. Story is too important to me, and more often than not, that little detail falls to the wayside in this style of show. Not familiar with what a jukebox musical is? I guarantee you know one. 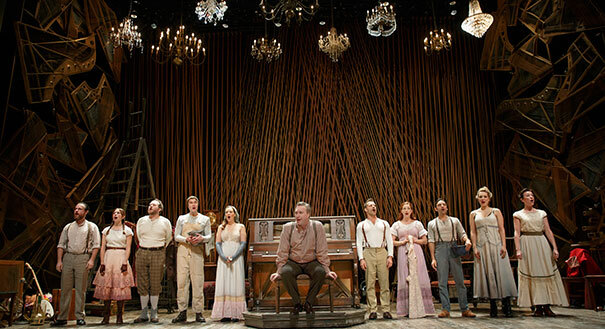 It’s when a musical’s score is populated by songs that are already written. Typically a show will stick to one artist or band (Jersey Boys, Mamma Mia, Movin’ Out, American Idiot), or it’ll be an entire genre (Motown, Rock of Ages, The Marvelous Wonderettes). Most of the time a plot is “applied” to the music, while others are turned into a biopic, the story of how a band came to be. 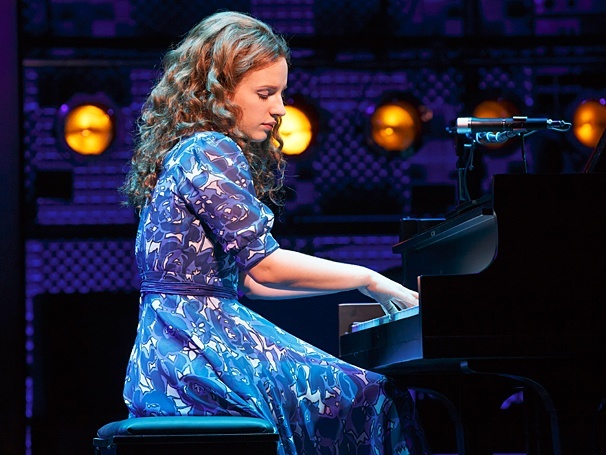 Beautiful: The Carole King Musical, if you haven’t guessed from the title, is one of the latter. It’s not a story based on Carole King’s music; it is Carole King’s story – how she got started in the music business, her path to fame, her hit songs with her then-husband Gerry Goffin, her heartbreaks, friendships, and everlasting kindness. The reason this show is the success that it is? In my mind, aside from the music obviously being so damn good, it’s Jessie Mueller. Hands down. She won the Tony last year, and I was psyched to see her on stage again. I missed her Broadway debut in the Harry Connick Jr. flop, On a Clear Day You Can See Forever, but I did see her as Cinderella in Into the Woods at Shakespeare in the Park and in the revival of The Mystery of Edwin Drood. Despite Clear Day’s lack of success, Mueller made a splash and thankfully hasn’t left us since. That voice! I don’t know anyone else who makes a sound like that. And it seems she can do anything with it, shifting from style to style effortlessly (check out her pipes on Seth Rudetsky’s “Obsessed”). I suggest you catch her before her last performance on March 6th, and check out show clips here and here. And while you’re at it, watch this to see when Carole herself came to see the show, surprising the cast, after very publicly announcing that she would not be coming to see it. Anyway, back to the show. The book is so-so. 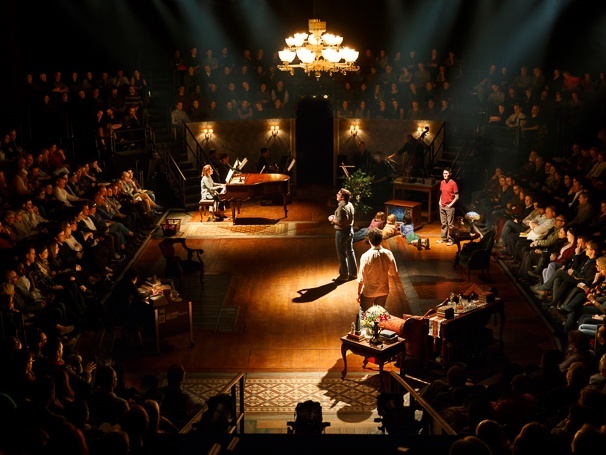 There are definitely enough songs to fill a two-and-a-half-hour musical, but there might not be enough story. Actually, that might not be the issue; I was never bored. I was frustrated with the writing itself, the actual dialogue. It’s a little cheesy for my taste, and a few scenes are written so poorly that I was actually in shock that they made it this far without being revised. But who knows, maybe it’s just me. 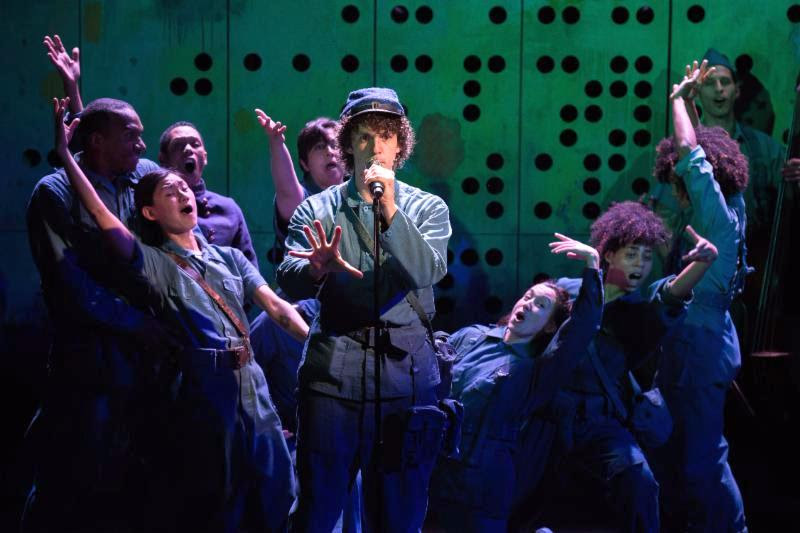 The book is formulaic, but it’s what we’ve come to expect with biographical jukebox musicals. For example, once Carole and Gerry are on a roll writing hit after hit, the convention is set up in which they write a new song, talk about who should sing it, and then…enter The Drifters! Or The Shirelles! This happened time and time again, but I liked that each time a group sang one of the songs, a different ensemble member was featured with the solo. “The Locomotion” in particular was GREAT. 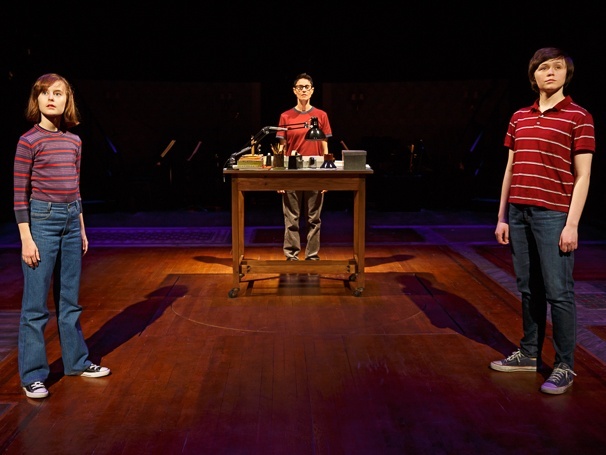 Aside from its weaker points, Beautiful comes with a chic set, Tony Award-winning sound design, fun costume changes, and King’s canon is smartly used. It’s a hoot to hear how music changes from the ’60s into the ’70s. And no matter how cliché the script can feel, it’s still lovely to watch Carole grow and gain confidence as a performer and as a human being. Ya know, since I don’t attend many jukebox musicals, I’m not used to being in a house with an audience that has a vocal reaction every time a new tune begins. I could tell how hard the woman next to me was trying not to sing out loud. There were ladies a few rows down from us full out dancing in their seats. It was distracting at first, but once I leaned into it and accepted that it’s simply part of the drill with such classic tunes, I found myself bopping right along with ‘em.